Generation Z... the rising wave of future consumers, swelling on the horizon. Most leaders in the business world right now are Generation X, Y or Millennials, and when they hear of Generation Z, fear fills their hearts. However, they are only afraid because they do not understand how Generation Z behaves. Generation Z, with its outlandish behavior, is not just some fad businesses can ignore: this is the future consumer. Ranging from elementary school to college, Generation Z is rapidly filling the marketplace with connected, impressionable consumers who can change the buying environment if their needs and desires are catered to. If you want to utilize this growing consumer base, you will have to understand how Gen Z consumers think, and become aware of the social trends they are part of. 1. Attention spans of a couple of seconds. Gen Zers have famously short attention spans. Some in older generations view this trend as evidence of ADD or a learning disability, when it is simply how their brains are adapting to their digital environment. Entities such as Snapchat, Instagram and Vine have specialized in catering to this decreasing attention span, with enormous success. With hundreds or thousands of followers to attend to, short and to the point dominates any strategy for reaching Gen Z. Young minds will progress from their brief 8-second frame of mind into 4-second filters. In other words, because of their increasing use of digital media, Generation Z will soon have the ability to process or filter out content within a 4-second window. Accommodating their window of attention is crucial for companies trying to reach Generation Z, since time is so valuable to them. Time is a recurring theme when reaching modern consumers. Time is the most valuable resource for an individual, and any company or campaign geared toward saving consumers time will be a success if executed properly. A few decades ago, quality was the most prized attribute. Then it became "quick and easy." In the current environment, the demand is for "right now." Along with time, instant gratification has caused a shift in consumer behavior. Consumer loyalty is almost negligible. Everybody is looking for the next best thing, and if you are not providing the latest and greatest services or products, consumers will drop you for the competition. 3. Prevalence of influencer marketing. Getting a YouTuber to sponsor your product is still a smart and economical way to get your product noticed and bought, but that was most true two or three years ago. YouTube's potential has been realized, which is great for YouTubers, but this makes it an expensive channel for marketing. However, influencer marketing is so powerful and essential to reaching consumers that it is ludicrous to not utilize it. Owners must use prudence when dealing with influencers: don't go too expensive or too cheap, and focus on promoters who fit your brand. Find a user who consistently releases content, has a dedicated (not necessarily huge) following and produces content that complements your product's brand. Look past YouTube, Instagram and Facebook, which can have heavy costs, and direct your attention to dedicated blogs, Snapchat and live-streaming providers such as Twitch and Periscope. 4. Mobility: keep moving or you're dead. "Technology takeover" is old news, because we already recognize that everything has shifted to high-tech devices and mobile. When designing a website and a service, it is crucial to make the website highly mobile friendly. Laptops have replaced desktops, but smartphones are dominating daily communication and searches. 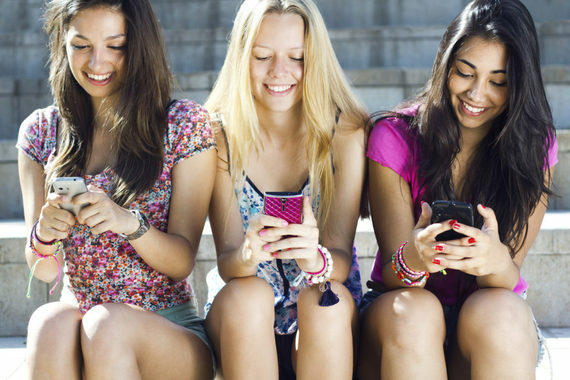 Young consumers are digital natives, and their digital experience is primarily mobile. Anna Fieler, executive vice president of marketing at Popsugar, notes that Gen Zers are twice as likely to shop on a mobile as Millennials. 5. Racial barriers are becoming nonexistent. Diversity is a defining trait in America, but the upcoming generation defines themselves as a "pluralist generation." Fieler explains: "They have conviction in diverse races and religions and believe people can coexist in society." Why should this affect your business? Gen Z is the most ethnically diverse generation in US history. It will comprise 47% ethnic minorities, according to Jaclyn Suzuki, creative director of Ziba Design. Therefore, brand yourself and your company as an inclusive, diversified institution. Cater to minorities in your marketing campaigns, and you can solidify a respectable position with Generation Z. 6. Consumers are becoming more aware. Companies like Yelp and retailers with customer reviews put a lot of pressure on companies to stay up to par. Buyers are much more cautious of what they spend their money on, and if the product seems questionable, even based on a single negative review, they will take their money elsewhere. Ensure you have a quality product and service, and maintain a positive presence on customer reviews. Finding an influencer to provide a positive review will give consumers comfort in the notion that they are choosing a quality product. By 2020, Gen Z will account for almost 40% of consumers, and if you ignore this inevitability, you ignore one of the most powerful factions in the marketplace. Understanding and planning for the future will cement your company's potential for success, but it will only come if you embracing the outlandish, exciting personalities that embody Generation Z. This column was co-authored by David Matlock and originally published on Youth Logix on July 26, 2016.